I am starting a new blog-series of sporadic posts dedicated to "short & sweet" tips, inspirations, and quotes. As a "lifelong student" of fashion and beauty, I have many resources on hand to share with you all! It might be a tip from myself, a tip from one of the kazillion magazines that I subscribe to, or beauty/fashion book that I own, or a quote from a fashion/beauty icon. In my downtime, I relax by perusing these magazines and books finding these little pearls of wisdom to not only learn great basic rules for fashion and beauty, but also to stay current with all the new trends and seasonal suggestions! These little droplets of wisdom are intended for some quick and fun inspiration!!! So, when life gets hectic, go ahead and read my "Daily Dose", it will be like a beauty-break during your day. 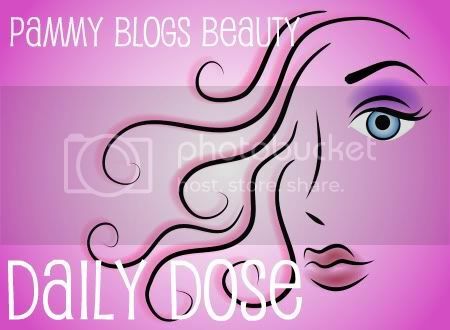 So, keep an eye out for the upcoming "Daily Dose" posts! They will be titled, "Daily Dose: Fashion Footnotes", "Daily Dose: Beauty Break", "Daily Dose: Hair Help", and "Daily Dose: Skincare Solutions". While most of my previous blog posts have been dedicated to Makeup, Skincare, and Hair tips, it will be very fun for me to delve further into the world of fashion as that is one of my other passions! I hope that ya'll will love these posts! I know that I am going to thoroughly enjoy my beauty and fashion book/magazine "research" and I will be posting the tips that inspire me personally or that I find helpful! This will also be a great opportunity for you readers to comment and share your thoughts/tips/inspirations as well in the comments!!! Thanks for reading and stay beautiful my dears!